It would certainly have been “Django Reinhardt’s Dream” to witness such extraordinary guitarists perform his music so vividly and daringly as to somehow make it new again. For one unforgettable night, this mini festival celebrates Gypsy swing of the 1930s in unexpected ways under the artistic direction of guitarist and composer Stephane Wrembel (Fontainebleu, France/NY). 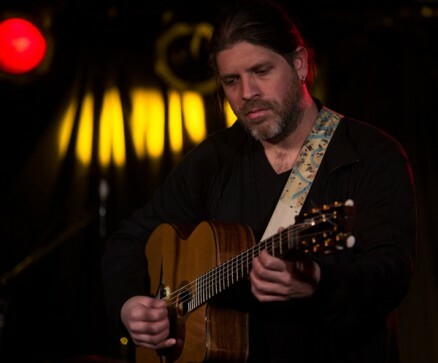 Wrembel, who has been called “a revelation” by Rolling Stone and who composed the music for Woody Allen’s last two films will be joined by Kamlo (Nantes, France) who interprets Django via the Mediterranean, and Flamenco and Gypsy swing-style guitar master Alfonso Ponticelli (Chicago). The electrifying sounds of three of the world’s leading Gypsy jazz artists – who each share a deep knowledge of Django’s style yet express it in individual ways – will move effortlessly between beloved Gypsy jazz standards and stunning improvisations ending in a spectacular super jam finale.